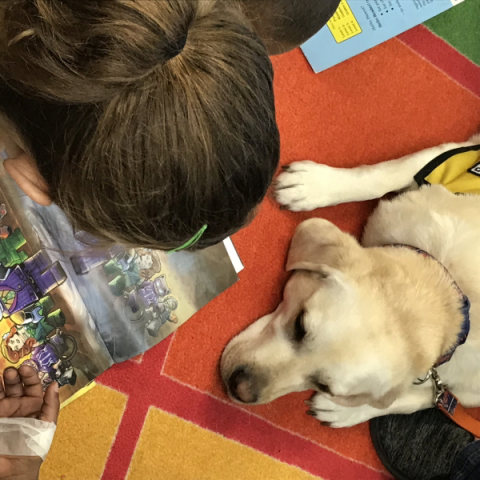 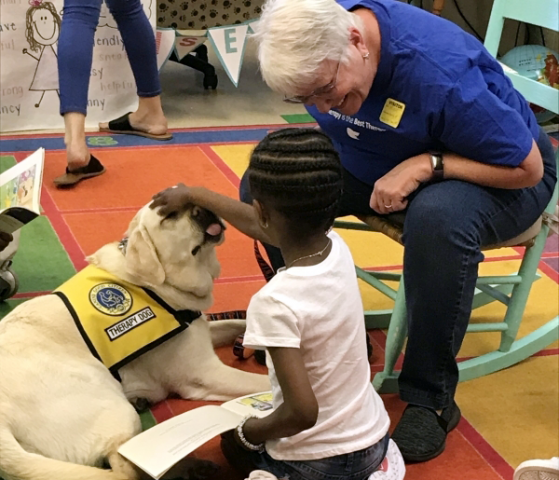 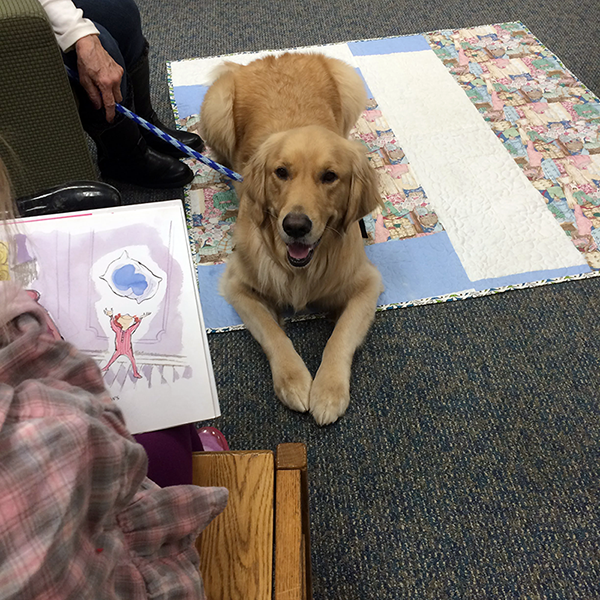 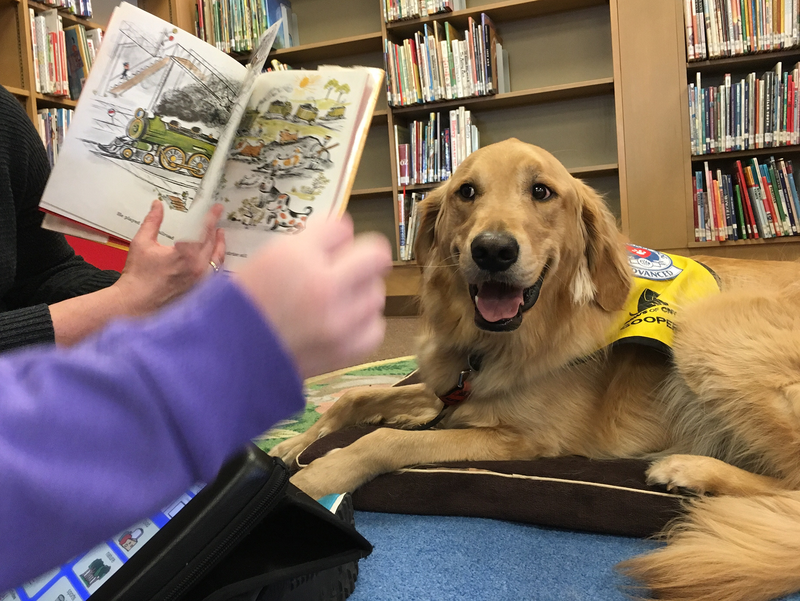 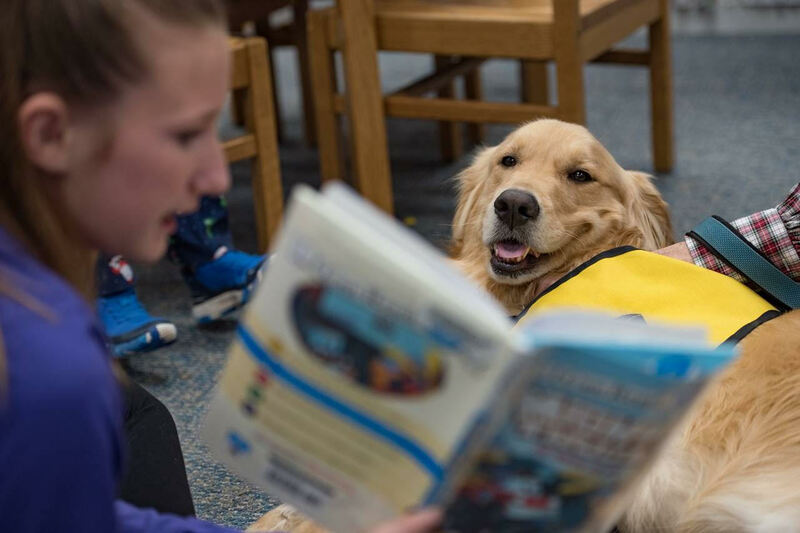 This program provides an opportunity for children to improve their literary skills by reading to a non-judgmental pet volunteer in local libraries and schools. 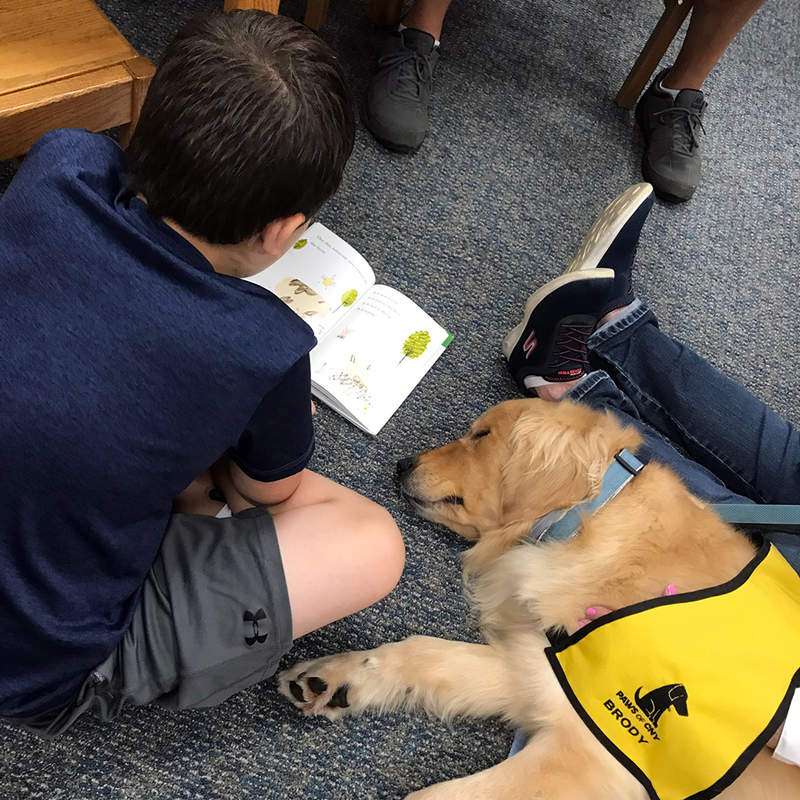 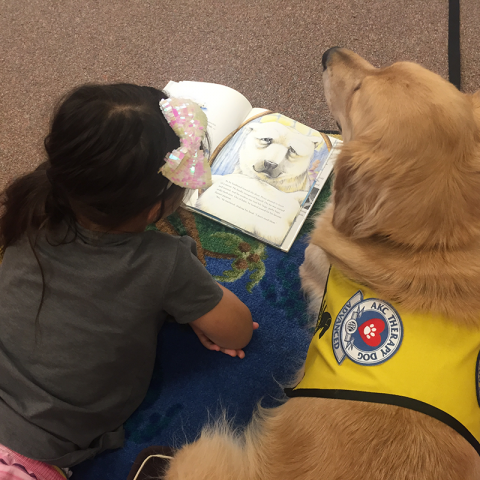 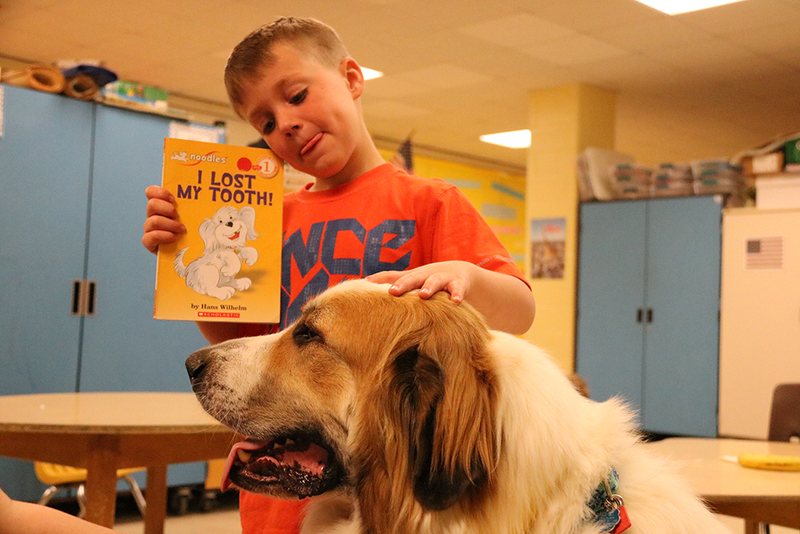 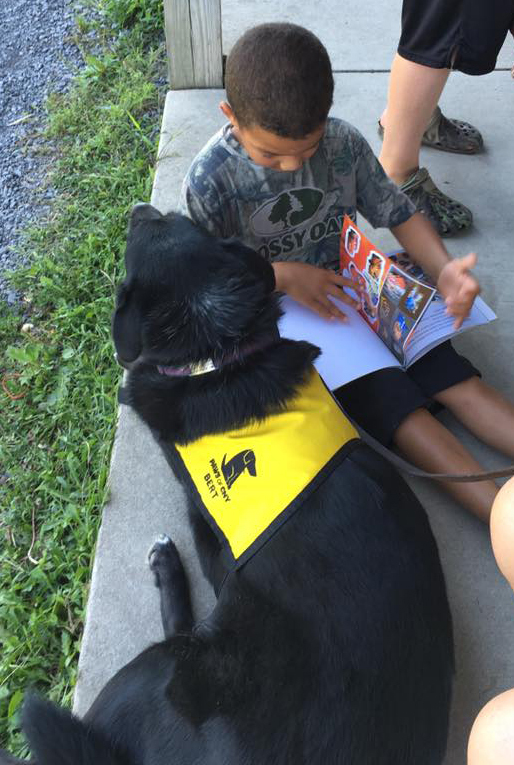 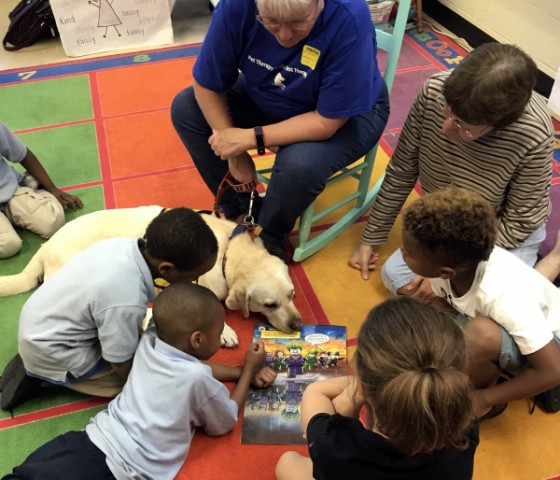 This program allows children to practice reading aloud without the fear of being criticized or corrected, and their anticipation of the quality that is spent with their pet volunteer makes their practice an event that they look forward to. 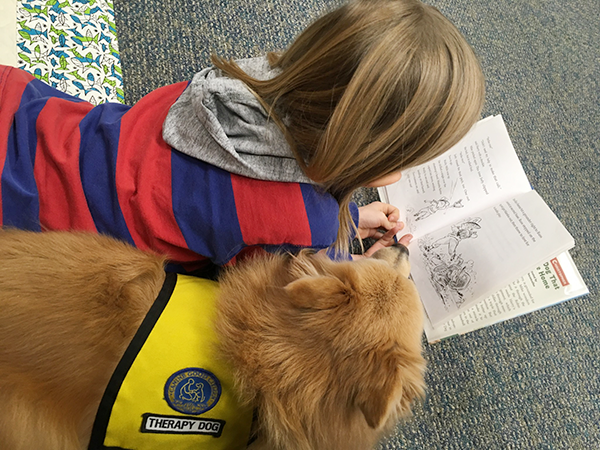 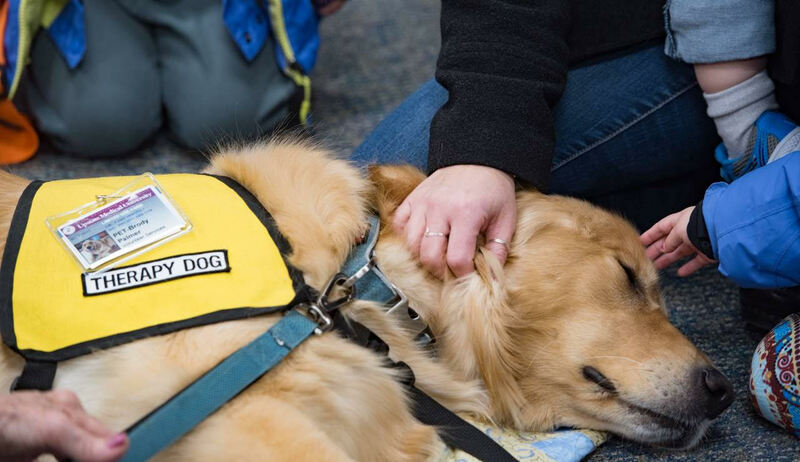 To request a reading program, or animal assisted activities general pet therapy program at your facility, complete our library/school pet therapy program application. 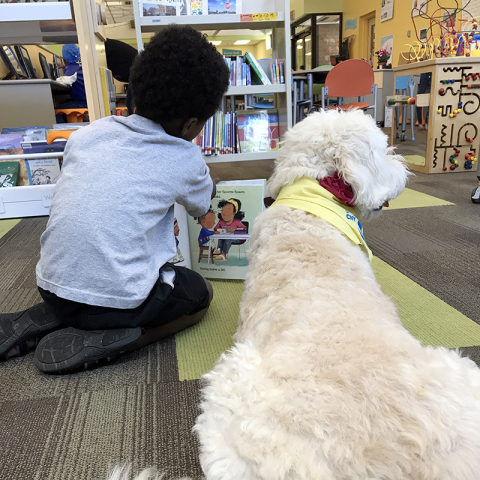 To learn more about the benefits of our youth pet therapy reading program, watch the video below. Thank you Natasha Yurek for producing this wonderful video! 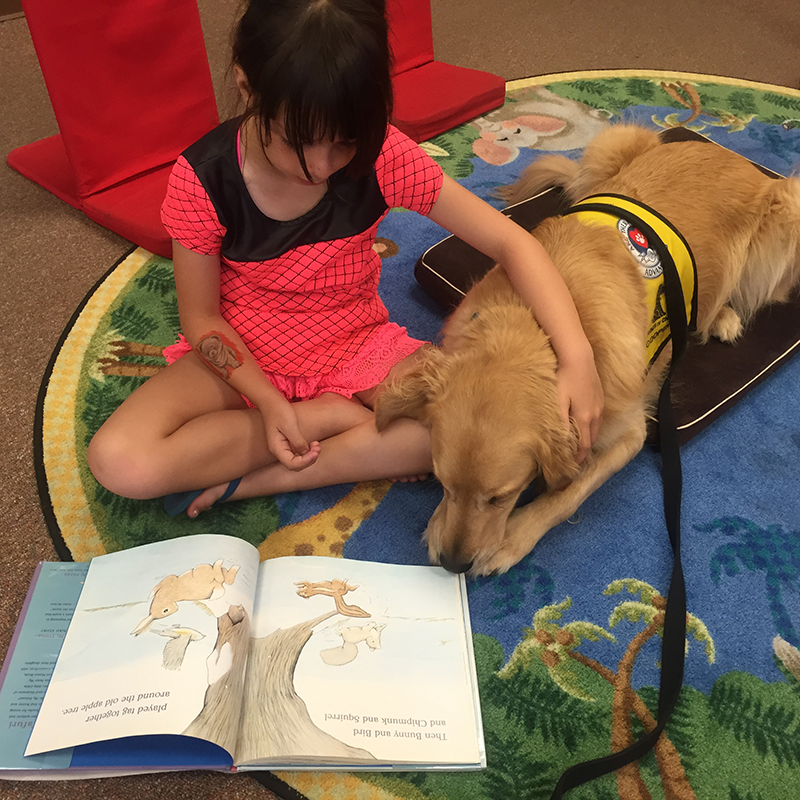 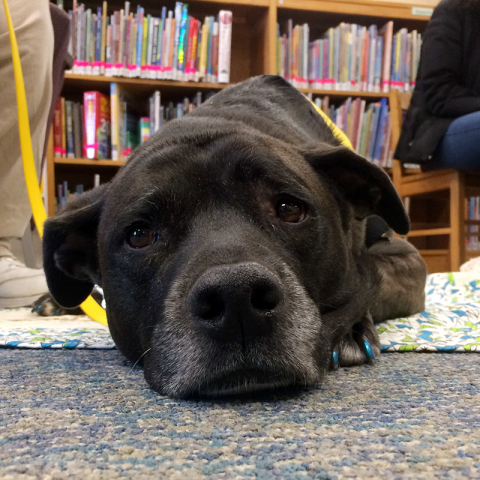 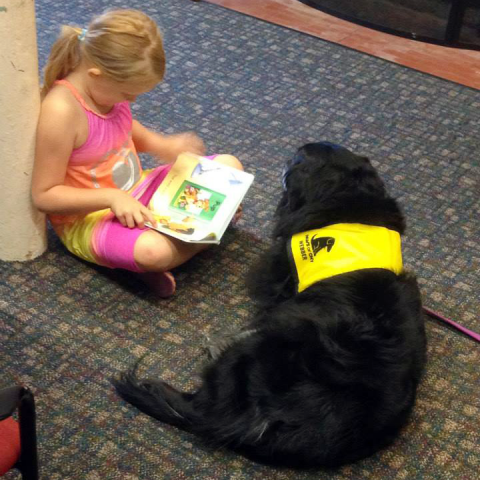 Click below to see photos of our library program reading pets in action.